Hair loss among men and women is a perennial problem all across the globe and all the 200+ nationalities who have made UAE their home share this issue. A recent Hair Loss Incidence Study conducted by YouGov in UAE inferred that almost 67 per cent men and women in UAE suffer from hair loss. The survey, for which more than 1,100 UAE men and women responded, brought up interesting insights on the incidence of hair loss problems. 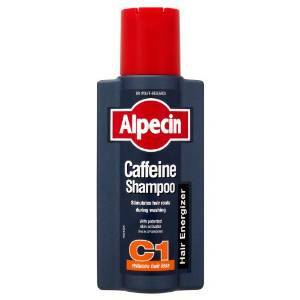 It was conducted on behalf of on behalf of Alpecin Caffeine Shampoo. Among one of the striking results of the study, more than half of men affected by hair loss (55 per cent) said that they would be willing to shorten their lifespan to regain lost hair. According to the survey, just over 4 in 10 men suffering from hair loss are willing to give up to a year of their lives to regain lost hair or prevent baldness, even as a minority (5 per cent) is willing to give up more than 5 years of the or lives. In response to the question ‘How much time of your life you would be willing to shorten to regain lost hair or to ensure that you will not go bald?’, 13 per cent of the 590 male respondents (77 respondents) said they were willing to shorten their lives by three years or more while another 42 per cent (248 respondents) were willing to trade 1 year or less of their lives for a head full of hair. That’s because, as the UAE survey revealed, a majority of polled men (56 per cent) said that hair loss impacted their social lives, especially in the case of those men with acute hair loss problems. More than 5 out of 10 UAE men said hair loss leads to psychological and social issues. Further, almost 35 per cent of men suffer from various levels of depression/anxiety symptoms and are anxious to rectify this problem. The survey found out that almost every second man under the age of 30 in UAE suffers from hair loss in various proportions. The male respondents perceived hair loss among the top two physical concerns, which indicates the extent of mental impact of this condition on men. “Hair loss can alter the way a man looks and makes him look older too. Men in UAE put strong emphasis on their physical appearance, and hair loss therefore causes great problems for most men in UAE,” says Dr. Hanieh Erdmann, German Board Certified Dermatologist and Hair Restoration Surgeon, located in Dubai. Frequently more men affected by hair loss also suffer psychosocially. “Self-doubt, difficulties in socialising and embarrassment are just some of the consequences of hair loss,” the physician added. “The main reason of hair loss is caused by a genetic predisposition,” explained Dr. Hanieh Erdman explained. “Those men affected by hereditary hair loss suffer from a super sensitivity of the hair roots to the hormone DHT, a metabolite of testosterone,” she said.